Together with Founder and Director, Maharaja Jayasinhji Jhala, Karim is Director of The Halvad Revitalization Initiative, which works to reinvigorate a 15th Century citadel in Gujarat, India. He was born in Nairobi, Kenya and sent off to school at age 7 to London, England to attended Chiswick and Bedford Park Preparatory School. After moving back to Nairobi at age 10 to attend Hospital Hill School, he returned to London to attended Drayton Manor School in Hanwell. I have produced, directed, filmed and edited over fifteen well-received ethnographic films which illustrate the cultures of India, the USA and Vietnam and speak to various issues in visual anthropology. My films A Zenana and Tragada Bhavai: A Rural Theater Troupe of Gujarat (1981), Bharvad Predicament and Journey with Ganapati (1983), Forgotten Headhunters and Apatani Sacrifice (1978), Whose Paintings? (1995), Morning with Asch (1997), Conversation with a Collector: Dialogue with a Docent (1998), Close Encounters of No Kind (2002), ShaktiMa no Veh (2006), The Last Rites of the Honourable Mr. Rai (2009), and Rejuvenating the Land, Uniting the People (2009). 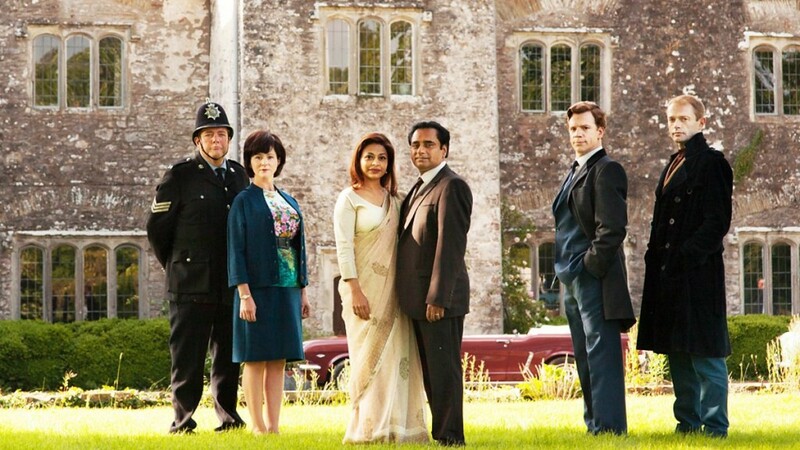 The above films have been seen by national and international audiences. Information about several of my films is available from Documentary Educational Resources. My written publications address issues of art and anthropology, nomadism, religious worship, indigenous interpretations of local culture, ethnographic filmmaking and its reception, photography, Hindu marriage, Rajput ideology and politics and Vietnamese rituals. With my friend and fellow director Karim Ajania, I am pioneering the Halvad Revitalization Initiative in Gujarat, India, of which I am Founder (click here to read more). Below is a Friend of Halvad (click here to see more), my friend and Cambridge, Massachusetts neighbor, Kevin McGrath. Kevin McGrath was born in southern China in 1951 and was educated in England and Scotland. The Sanskrit Hero (2004), Stri (2009), Jaya (2011), Heroic Krsna (2013), Raja Yudhisthira and Arjuna Pandava (forthcoming 2016). He is a specialist in preliterate poetry and in heroic literature. Fame (1995), Lioness (1998), Supernature (2012), Eroica (2013), and Windward (2015). Kevin lives in Cambridge Massachusetts, with his family. Chris was born in, grew up in, and attended high school and college in Kenya. He is a graduate of Harvard Law School’s Human Rights Masters Program, and is an international human rights lawyer serving as UN Senior Human Rights Advisor in Kigali, Rwanda. He was previously serving as a Human Rights Officer with the United Nations Office of the High Commissioner for Human Rights in Geneva, Switzerland, focusing on anti-discrimination work. A graduate of University of Nairobi (LL.B) and Harvard Law School (LL.M), Chris has worked on human rights, governance, democracy, peace and conflict resolution issues for over 20 years and has served in many countries including USA, Democratic Republic of Congo, Sierra Leone, Uganda, South Africa, Ethiopia and Eritrea. Prior to his recent transfer to Kigali, he served the UN in Geneva, Switzerland and as Advisor on Democracy for the UN Regional Center for Human Rights and Democracy in Yaoundé, Cameroon. Chris has previously worked with leading human rights organizations and policy think-tanks, including Global Rights, the International Crisis Group and Amnesty International. In 2001, while still working with the UN, Chris started Hilde Back Education Fund, a charitable organization in Kenya that supports scholarship education of bright children from poor families. He named it after a Swedish woman, Ms Hilde Back, a holocaust survivor who supported his education when he was a poor child growing up in a village in Kenya. The story of Chris and Hilde became the subject of an Emmy-nominated Hollywood documentary film called “A Small Act” which debuted at the Sundance Festival in 2010 and was voted among the Top-10 audience favorites at Toronto HotDocs Festival and featured extensively internationally. To learn more about this film please go to: www.asmallact.com. To read Karim’s interview with Farida for The British Toast Rack Society kindly click here. Rutendo is Managing Editor of African Peace Journal and is based in Geneva, Switzerland. 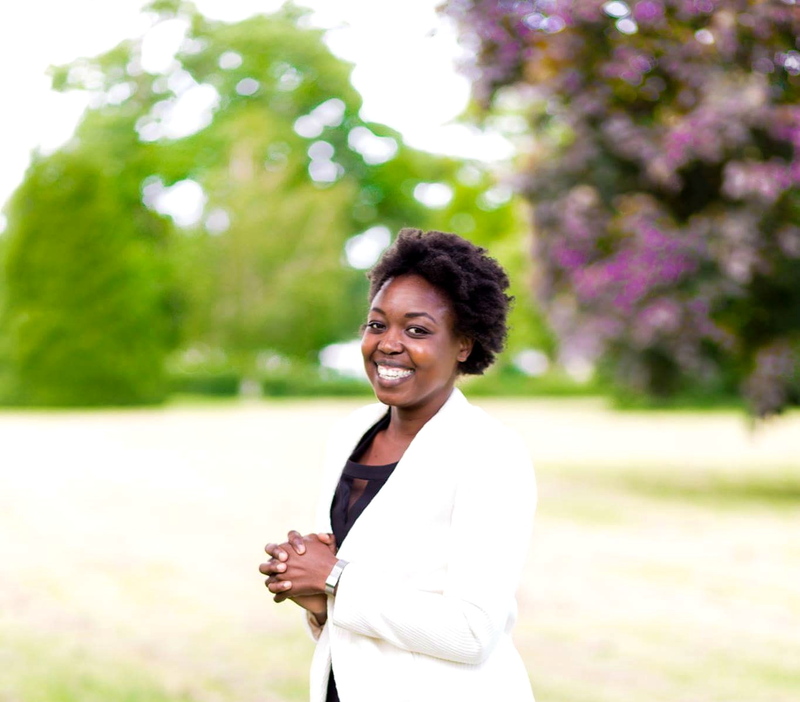 She is originally from Harare, Zimbabwe and completed a Masters degree in International Human Rights Law at Lund University, Sweden. Prior to this, Rutendo spent five years at Rhodes University, South Africa, studying for a Social Sciences and a Law degree. During her studies she worked for the Rhodes University’s Community Engagement office as a student liaison officer. Rutendo recently completed coursework at Oxford University. In Sweden, she actively volunteered at Save the Children Gotland and Save the Children Lund and was a project leader for the Kids in Transit Project in Lund. She is fluent in both English and Shona and has a working knowledge of French, Afrikaans and Ndebele. To read Rutendo’s blog on Rutendo’s Corner at the African Peace Journal, kindly click here. Véronique de Viguerie is a multi-awarded French photographer represented by Reportage by Getty, and based in Paris, France. She spent 3 years living and working in Afghanistan. Since 2006, she is been covering stories around the world in Iraq, Somalia, Lebanon, Kashmir, Mexico, Algeria, Guatemala, Pakistan, Niger, Nigeria, Mali and several other countries. Her work “Afghanistan Insh’Allah” was exhibited in Visa pour l’Image in Perpignan, in Paris and in the Scoop Festival in Angers. “The Oil War in Nigeria” was exhibited in Bayeux festival for the war correspondents. Véronique’s pictures are regularly published in Paris-Match, the New-York Times Magazine, Newsweek, El Pais, Stern, Der Spiegel, Figaro Magazine, Geo, Marie-Claire, Mail on Sunday, the Guardian, l’Optimum and other publications. Véronique was especially noticed for having photographed the Taliban in Afghanistan, the Pirates in Somalia, the Oil Pirates in Nigeria, the Sicaraias (women killers) in Colombia, and the MNLA in Mali. She bravely takes on these challenging assignments and personal projects in some of the most dangerous places on the planet, often working with her French journalist friend and colleague Manon Querouil. In 2006 she published her first book, “Afghanistan, Regards Croises” and in 2011 “Carnets de Reportage du XXIe siècle”. In 2012, she was chosen by HBO to be one of the three photographers to be part of the Witness program for her work on the Arrow Boys in South Sudan. “Profession: Reporter” will be out on the 20th of August, 2015 and will be discussed in the ‘Books’ section of this website by members of The Bored of The Society. To explore the website of Véronique de Viguerie kindly Click here. To read Karim’s interview with Véronique for African Peace Journal kindly Click here. Kevin Ashton is a visionary technologist. His writing about innovation and technology has appeared in the New York Times, The Atlantic, Politico, and Quartz. I recently became CEO of Sanoma Learning, one of Europe’s leading providers of learning solutions. I am passionate about education and science, and I love to help talented individuals and teams to grow. I’m experienced in leading international content and information service companies going through significant change in the science, education, medical, consumer media, legal and business spaces. Sanoma Learning serves about 10 million pupils and 1 million teachers in Northern Europe. We employ about 1600 people with a passion for learning. Our experience in education dates back to 1833 and these days we are known internationally for two reasons. Firstly, for quality: we’re a leading and integral partner in some of the World’s best performing education systems including Finland, The Netherlands, Belgium and Poland, as well as Sweden. Secondly, we’re innovative and are frontrunners in the digital transformation and are arguably continental Europe’s biggest edtech company today. Skilled teachers, motivated pupils, and high-quality learning materials. And I believe that the next generation of learning is personal: by tailoring pedagogy, curriculum, and learning support to the needs of the individual learner we can improve learning outcomes, enhance workflow efficiency and support engaging learning. John received both his BSc. (First Class Honors) and his PhD. from the University of Sheffield. His doctoral research included determining the 3D structure of a human cysteine protease inhibitor implicated in cancer metastasis and a number of other disease states. He used a number of techniques including high resolution Nuclear Magnetic Resonance spectroscopy, simulated annealing, distance geometry and DNA cloning and over-expression. John went on for post doctoral work at Utrecht University and management studies at the Harvard Business School. Dr. Henry Petroski is the Aleksandar S. Vesic Professor of Civil Engineering at Duke University. At Duke University, he has a secondary appointment as a professor of history. From 2004 through 2012 he held a Presidential appointment as a member of the U.S. Nuclear Waste Technical Review Board. Professor Petroski’s current research activity focuses on the interrelationship between success and failure in design. He also has a strong interest in the nature of invention and in the history of technology. Professor Petroski’s research has been sponsored by the Corps of Engineers, the National Science Foundation and the Alfred P. Sloan Foundation. He has published seventeen books and hundreds of articles in newspapers, magazines, and trade journals. Besides his history of the pencil, Petroski’s books include The Evolution of Useful Things; The House with Sixteen Handmade Doors; and The Toothpick. His latest book is entitled The Road Taken: The History and Future of America’s Infrastructure. – and will doubtless emerge as a fan of the ever curious author. Professor Petroski is a Distinguished Member of the American Society of Civil Engineers, a fellow of the American Society of Mechanical Engineers and the Institution of Engineers of Ireland, and is an elected member of the American Academy of Arts and Sciences, the American Philosophical Society, and the U.S. National Academy of Engineering. His numerous honors include a Guggenheim Fellowship. Peter Meringolo is a graduate of the University of Notre Dame (B.A. 1991) and University of California, Hastings College of the Law (J.D. 1998). Since 1998, Peter has been a corporate litigation attorney, working at top tier, internationally reputable law firms, including Brobeck, Phleger & Harrison and Morrison & Foerster. He is presently the managing partner of the litigation firm of Snyder, Miller & Orton, started by former leaders of the Brobeck firm. Peter represents both plaintiffs and defendants in a wide variety of business litigation, intellectual property, and insurance recovery matters. Peter is very committed to volunteer work and community service. Among other things, he has volunteered at a drug and alcohol counselling center for teens and performed pro bono legal work on domestic violence and immigration issues. For several years, Peter served on the Board of Managers for the Embarcadero YMCA. In that capacity, Peter served as the Chair of the Youth Chance High School (“YCHS”) Advisory Committee, a private high school for at-risk youth operated by the Embarcadero YMCA in San Francisco. The YCHS Advisory Committee played a vital role in helping YCHS thrive through an economic downturn — in 2010, YCHS almost closed its doors; in 2012, over twenty young adults graduated with a high school diploma. 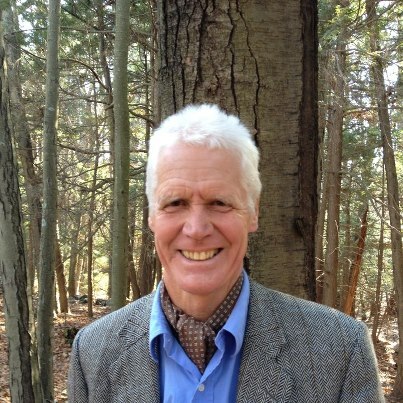 In his spare time, Peter enjoys writing: one of his essays was published in the Loyola of Chicago Law Journal; another was published in Notre Dame Magazine in 2012; and a third won first place in the 2014 Marin County Fair. Peter and his wife, Joyce Raffo, live in Marin County with their three sons, Nicolas, Luke, and Mark, two cats named Smoke and Ash, and one fish named Chewy. Click here to read about Peter J. Henniker-Heaton’s British Snail-Watching Society. I don’t know about you but I find toast racks spectacularly boring. There are few activities more boring than to “keenly and studiously observe” a toast rack. Consequently, in my capacity as president I have duly delegated the observance of toast racks to the bored. Click here to read an article by The Society president entitled ‘The Toast Master‘. Richard studied Politics, Philosophy and Economics as a Rhodes Scholar at Oxford University. He also studied philosophy and religion at Colgate University, theology at the University of Chicago, ethics at Yale University, financial planning at Golden Gate University and the management of nonprofit organizations at the University of San Francisco. Growing up Lutheran, then worshipping with Quakers and zazen training with Zenki Shibayama Roshi prepared him for nine years as a Benedictine monk at Weston Priory. Richard’s experiences as a monk, hospital chaplain, parish pastor, and certified financial planner have prepared him for a pastoral and spiritual perspective in financial and estate planning. His wife, the Reverend Anita Ostrom, PhD., is a psychotherapist. Richard comes from a seafaring family and enjoys fishing and sailing. River of Ink: Literature, History, Art, a collection of thirty essays on various subjects, was published by Counterpoint Press in December 2014. Landscape with Yellow Birds, a translation of selected poems spanning the career of José Ángel Valente, was published by Archipelago Press in 2013. 1616: The World in Motion, also from Counterpoint, is a global overview of a single year in the age of early maritime globalism. Both Landscape with Yellow Birds and 1616 were finalists for Northern California Book Reviewers Awards, in the categories of translation and general nonfiction respectively. 1616 was named one of the ten best history books of its season by Publishers Weekly. Previous books include New World/New Words: Recent Writing from the Americas, from the Center for the Art of Translation; The U. S.–Mexican War, a companion book to a national PBS television series; The Discovery of America, an anthology of writings on the discovery and conquest; and Bridge to Understanding: The Art and Architecture of San Francisco’s Asian Art Museum, which commemorated the museum’s move to Civic Center. With Carol Christensen I also ghosted a PBS companion book, The American Promise. Besides the poems of Valente, my other translations include books by such authors as Laura Esquivel, Carlos Fuentes, Julio Cortázar, Alejo Carpentier, and Louis-Ferdinand Céline. Ballets Without Music, Without Dancers, Without Anything by Louis-Ferdinand Céline was a finalist for the PEN America West translation award. Like Water for Chocolate by Laura Esquivel (translated with Carol Christensen) was a national best-seller. I received a special award for dedication to translation from the American Literary Translators Association. As a publisher, I learned the ropes while serving as senior editor at North Point Press. In the 1990s I was executive editor of Mercury House, an independent literary press. During my tenure we were nominated for a Carey-Thomas Award for excellence in publishing. I am currently nonfiction editor of Catamaran Literary Reader. I have written critical essays and introductions to such books as Sylvie and Bruno by Lewis Carroll, The Getting of Wisdom by Henry Handel Richardson, and Hieroglyphic Tales by Horace Walpole, and have published essays in many books, magazines, newspapers, and journals. Some of these are collected in River of Ink. The many panels I’ve served on include the National Endowment for the Arts, for which I reviewed translation and creative writing grant applications. As a graphic designer I have designed and typeset a large number of books, including several catalogues of museum art exhibitions. I received my BA, MA, and ABD in comparative literature from the University of Wisconsin-Madison. Carol and I live in the San Francisco Bay Area, where we are constantly chasing deer out of the garden. Deep Sehgal is Executive Producer of Avatar Productions. After studying for degrees in Philosophy from Dundee and Grenoble universities, Deep trained as a journalist at Leeds University. His first job was as a researcher on the BBC’s Everyman series in Manchester. Deep produced his first drama for the BFI and Channel 4 in 1998, before getting his directing break for Channel 4. After making a number of short films for the channel, he was hired by BBC Bristol where he spent nearly ten years making high-end documentaries, including the international Emmy nominated series Soul Deep. His work has been awarded Broadcast, RTS, BAFTA and international festival awards in categories as diverse as Drama, Sport, History and the Arts. 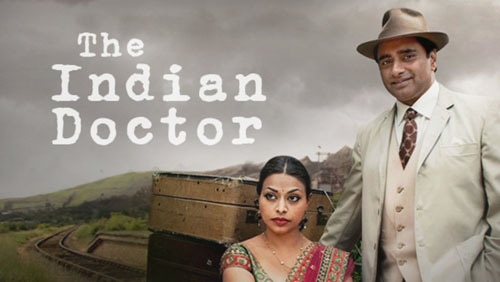 Deep was the executive producer on “The Kumars at 42” and created “The Indian Doctor”, both shows that have sold around the world. He lives in Bristol and is generally suspicious of cats. Deep cannot believe his good fortune in doing something he loves for a living. Thomas Thwaites, is an experimental designer, who makes things as an excuse to explore interesting topics in biology, psychology, philosophy, economics and whatever else. For example The Toaster Project, which is what first brought him to the attention of the British Toast Rack Society, was his nine month journey to make an electric toaster entirely himself, from scratch, that is starting with extracting the raw materials from abandoned mines and ending with a slice of warm(ish) bread. The project was a real life illustration of the economics essay I, Pencil. The Toaster Project, which first brought Thomas to the attention of the British Toast Rack Society, was his journey to make an electric toaster from scratch, starting with extracting the raw materials from abandoned mines. He is currently trying to take a holiday from the existential pain of being a human, by transforming himself into a goat. Originally the goal was to transform himself in to an elephant, elephants sharing with humans the distinction of having relatively short necks. However this changed after a visit to a Scandinavian Shaman, who pointed out that he’s lived in London his entire life and thus unfortunately has no shared cultural history with elephants, and so told him he’s much better off becoming a goat. He has a BSc. in Human Sciences from University College London, and he completed his Masters degree in Design Interactions at the Royal College of Art in 2009. Thomas is currently transforming himself into a goat. His work has been acquired by the Victoria & Albert Museum for their permanent collection, and is exhibited frequently and internationally, he lectures at various universities in the USA and Europe, and speaks at conferences across the world, including TED and Design Indaba (Cape Town, SA). Click here for the website of Thomas Thwaites, who teaches at Rhode Island School of Design. His first book, The Toaster Project, published by Princeton Architectural Press, has now been translated into Japanese and Korean editions. His second book, written about his current project to become a goat, is entitled GoatMan. In the toast rack, Ethan has found a great opportunity to exercise his ingenuity as a designer and to work toward redefining the perception of the oft disregarded member of the British breakfast table setting. Ethan Nonomura was born in Arizona and has since lived in California, Maine, and Massachusetts. He attended The Thacher School and graduated from Bowdoin College in 2012. He is an Eagle Scout and worked for some time as a naturalist and outdoor guide, where he found extensive inspiration in the sublime beauty of the wilderness and natural phenomena. With a background in environmentalism, mathematics, and art, Ethan is currently pursuing his MFA in Industrial Design at California College of the Arts. He hopes to utilize his ever-broadening span of knowledge to help further the British Toast Rack Society’s observation and development of the toast rack. Tom Cummings has served as global head of Learning and Organisation Effectiveness for Unilever and ABN Amro Bank; project leader/adviser on planning and learning in companies such as Shell, Compass Group, Fortis, Marakon and BUPA and others. Tom has created and co-designed business transformation and learning vehicles such as Cambridge Energy Research Associates, Center for Strategy Research, Leading Ventures and Common Purpose Netherlands. He is the co-author, together with Jim Keen, of Leadership Landscapes. Tom is on the board of directors of the Tällberg Foundation. He has led the Tällberg Leader Program since 2006. This work has involved him as a designer and catalyst in hundreds of projects and board retreats across many cultures. He works with people who wish to engage with complexity and want to learn how to move between and across different perspectives. The approach helps to integrate experience and anticipate challenges. His work encourages leaders to be present and mindful of their personal impact while sustaining a perspective on their legacy in the wider world. Tom (and Marisa and Ty) and Karim have known each other for 35 years, ever since they were classmates at The Netherlands School of Business (Nyenrode) in 1980. Click here to read Professor Calder’s interview with the founder of The Society. Englishman James Capon had a successful career in advertising with McCann Erickson in various countries, before he switched sides and became Marketing Manager for Levi’s jeans, first in Germany and then for Europe. Under his management, the advertising agency BBH were appointed and they successfully developed the Launderette commercial – voted best TV commercial of the 80’s by the Art Directors Club. He went on to become President of the US division of Levi’s and of their international casual clothing line, Dockers. An acknowledged expert in the field of neuromarketing and communication with an MBA from the Solvay Business School in Brussels, he considers himself European first and an Englishman second. (But not when it comes to toast racks. There his taste is very traditional, his own personal specimen being made of porcelain and pinkish in color). He is proud of being a founder member of The Brick Project, an educational project which was the subject of Karim’s doctoral thesis at Harvard, and a founder member of gapdaemon.com which all purport to help young people’s international cultural dialogue but in reality promote world peace. His father, Sir Ernst Gombrich, was an historian whose book – The Story of Art, has been translated into more than 30 languages and made the family fortune. At Oxford, Richard worked as a University Lecturer until 1976, and then was chosen as the Boden Professor of Sanskrit. With this went a Fellowship in Balliol College. Richard held office in the Pali Text Society for 15 years, ending as its President. He is also President of the UK Association of Buddhist Studies, and an honorary life member of the International Association of Buddhist Studies. He also founded the Oxford Centre for Buddhist Studies and is editor of its Journal. Click here to read Professor Gombrich’s interview with the founder of The Society.